HustleBoss.com recently crossed paths with tough welterweight veteran contender Solomon Egberime inside of the Roy Jones Jr. Fight Academy in Las Vegas, Nevada. 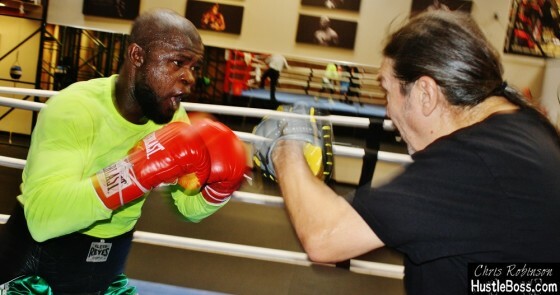 The 36-year old Egberime, originally from Nigeria, now calls Australia his home when he’s not tucked away in Vegas camps with seasoned trainer Luis Tapia, who also trains female women’s champion and BKB star Layla McCarter. Egberime is a great character and is simply looking to test himself against some of the top names between 140 and 147 pounds. Stay tuned for more updates on Solomon and check out the video below.